What Would Fundamentally Change Government as We Know it? Government has clung to the same structure for centuries in that as an instrument of force it has required force to sustain it and finance it. By its very nature it deals in force in that it is created to offer protection against force of its citizens. To be able to do this it requires resources and since governments have none unless they acquire them, they have relied on their power of force to confiscate resources. No business in the world operates on the premise that you must pay what we demand for the goods or services except organizations like the Mafia that offer protection for a determined payment. Businesses operate on the premise of trade. We as a business offer our goods and/or service and have it priced so that we can profit and therefore stay in business. This is a voluntary transaction and you are free to accept the conditions or you can simply say no. Government doesn’t operate this way. It takes the notion that people won’t voluntarily pay for their protections and by default they turn to force to extract payment for their services. By taking this approach they are committing the same violation of rights they are expected to protect us from. They argue that people would not voluntarily pay them to govern. How do they know? They don’t. Millions of dollars are voluntarily given to candidates and campaigns which is proof people want government and are willing to pay for it voluntarily. You never see a politician questioning this method of remuneration. Why? Is it that they just haven’t considered the morality of their methods or is it much like other unmentionables they ignore such as payments for political favors until they get caught. I suspect the issue would be a hot potato and they avoid controversy if they can. To bring up a method that would restrict their power is taboo. They are in the business of acquiring and maintaining power and anything that would diminish this would not be a conversation they would care to engage in. I offer as evidence the fact that this has never been a campaign issue that I know of. Suppose for a moment that such an issue was introduced into a campaign. There is not a politician alive that could make the case for voluntary payments to run the government. First of all they are in the business of not offending their colleagues as they may need their support in some legislation. Secondly most if not all of them consider such an option unworkable ( for them) and third they do not want to stand alone and jeopardize the next election. This demonstration shows that change in government structure cannot and will not come from politicians. It is an idea that only intellectuals can understand and promote. It must come from thinkers who are willing to examine the structure of government , itemize various options and sell the one that is most reasonable. There is plenty of evidence that the existing structure of government restitution could use review. 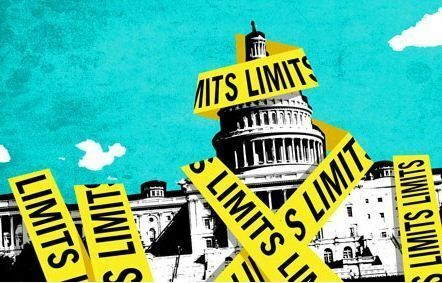 A 20 trillion dollar debt and an ever increasing debt “limit” should indicate government management as practiced today in insufficient for sustainability. This is an intellectual challenge that a will either be met or we will experience, sooner or later, the flaws and ensuing results.